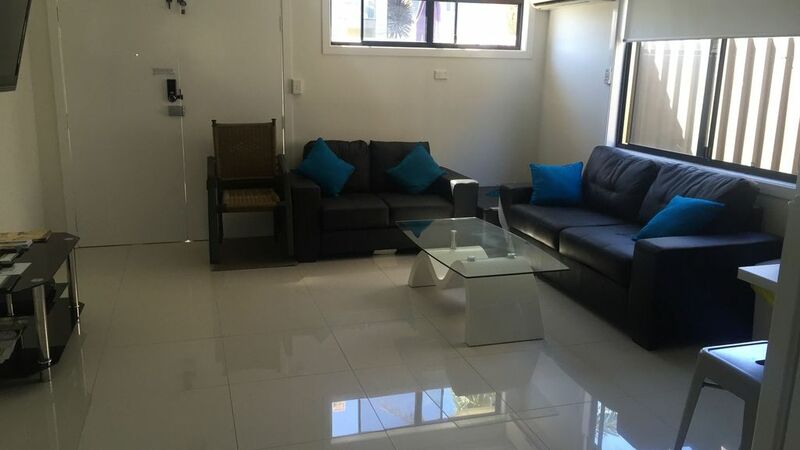 LAZY DAYZ, a lovely property built in 2016 is a fully self contained 2 bedroom unit in ever popular Barrack Point. It is conveniently located less then 5 minutes walk to Warilla Bowling Club, Little Lake Reserve and only 100m to the beach. As well, it is only a 15 minute stroll along the beach to vibrant Shellharbour Village known for its numerous cafes, restaurants, boutique shopping and of course Shellharbour Hotel. Whether just for a weekend break or a longer stay, we believe you will love the homely feel and moderness of LAZY DAYZ and all that the beautiful Shellharbour area has to offer. Great location and lovely accommodation with everything we needed. Perfect for our little family getaway. We will be back! Would highly recommend. Great place to stay. Plenty of room for a family or in our case mother & daughter. 2 very comfortable bed rooms. spacious living area & a well stocked kitchen. Only minutes from patrolled beach & village shops. This property was perfect for a weekend getaway. Thoroughly enjoyed our stay and Steve was always quick to respond to any questions via text and was very accommodating. Highly recommend! I booked this beautiful house for my 21st with a few friends and it was in a great location close to the beach where me and my friends watched the sunrise and it was the perfect size for the 5 of us. Can highly recommend Lazy Dayz. The apartment was clean and had everything we needed. We have two toddlers and the house was completely child friendly which was fantastic. We loved being so close to the beach and being able to easily walk there with the kids. Thank you for a wonderful stay!